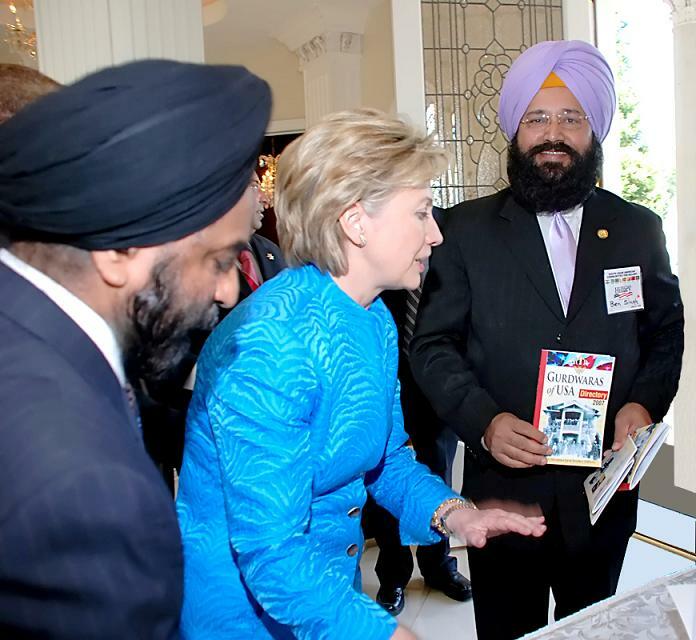 Directory of U.S. Gurdwaras published by local businessman Jagjit Singh Bains of Tustin, California, was launched in the presence of Hillary Clinton and later endorsed by former US President Bill Clinton in a form of autograph in Southern California last week. 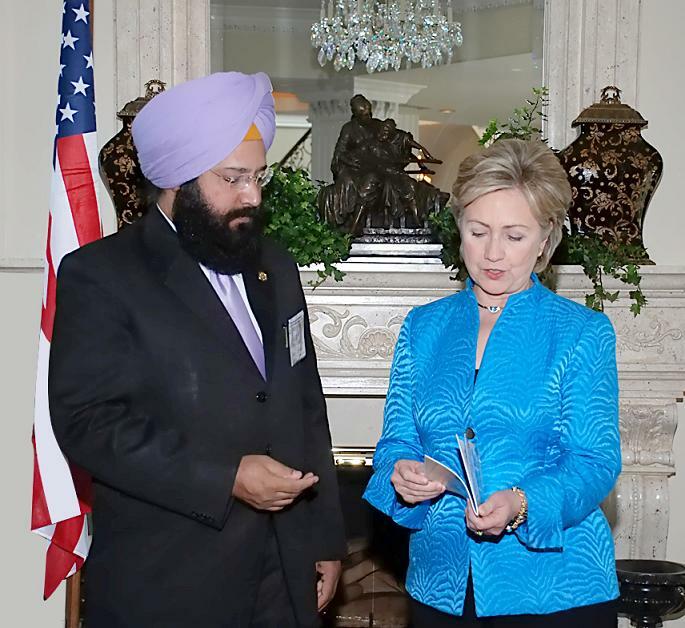 The directory contains a listing of all Gurudwaras in the US and is aimed to help the Sikh community network and coordinate their social, religious, cultural and media efforts on a national level. Printed and published by Sir Speedy Printing Tustin, the 2007 Sikh Gurudwara Directory fullfils a long standing need of the community to compile a comprehensive listing for the benefit of the community. The directory will be distrubuted Free of cost to Gurudwaras all over the US. Community leaders Gurbax Singh Bhasin (Prego Inc) and Ken Singh (Kenpo Inc.) among others, were present during the launching.